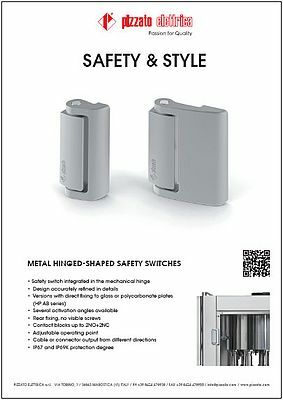 Pizzato's safety switch is integrated in the mechanical hinge and allows direct fixing to glass or polycarbonate plates (HP AB series). It is available in several activation angles, has rear fixing with no visible screws. IP67 and IP69K protection.